modmood has a workroom, in-stock and special order fabrics. we’d love to help you recycle those great quality pieces. 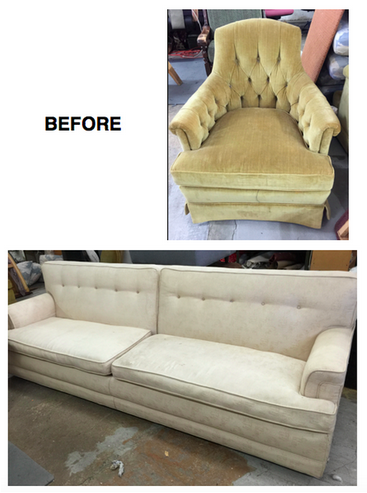 …reupholstery is not inexpensive but it is often warranted and will often times give you a better piece than buying something new – when reupholstered a piece is stripped down to the skeleton and rebuilt, depending on the condition of the padding, foam, or down it may need a complete overhaul. …do you love the piece enough to warrant the investment? sometimes you just have to save a it because it speaks to you, listen to your heart! …if it’s a newer, cheap piece of furniture you may want to reconsider. some furniture is just not worth the work involved to save it. poor construction, cheap wood frames, need to be used for fireplace fuel. 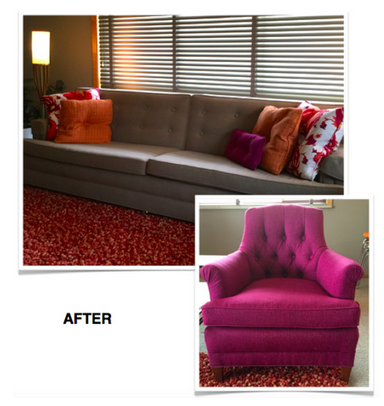 …when upholstered pieces are redone you can modify the look. love the length of the sofa but not the body, love the chair but not the tufting, love the bench but hate the legs, this can all be reworked. cost will vary depending on the condition of the piece, fabric choice and detailing. if you are planning to rework a vintage piece that has been around for quite some time the cost of reupholstery would be between 1/3 or 1/2 of the cost to by something comparable in quality. fabric selection is important as you want to make sure you are selecting the correct type of fabric or leather for your application. knowing a fabrics fiber composition is essential to understanding it’s wearability and cleaning process. at modmood, we have in stock fabrics that range from $12/yard up to any amount your little heart would like to spend! below are some cost ranges you can expect for some of the most popular types of upholstery pieces, of course each piece is unique so these are ballpark costs for labor only and doesn’t include fabric. if you would like to get an estimate on a piece feel free to contact us and send a photo and measurements. sofa — $600-1500; $600 being your most basic piece with no cushion replacement. 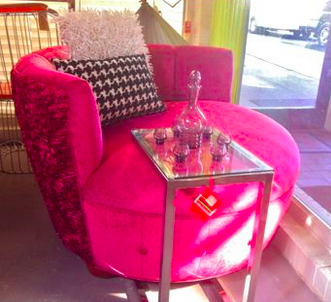 2 piece cushion set: $175-375; pricing ranges based on whether cushions need to be replaced.